How are you celebrating Cinco De Mayo? Well if you’re looking for some decorating ideas don’t spend your money at the store. 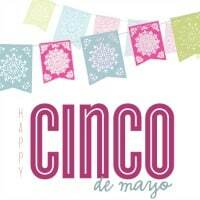 You can find all sorts of free Cinco De Mayo printables online! Courtesy of thepartyteacher.com, these free printables will make your Cinco de Mayo a more festive event!